The songs are a bit spotty, but Cash is doing the best he can and his band is at least competent. 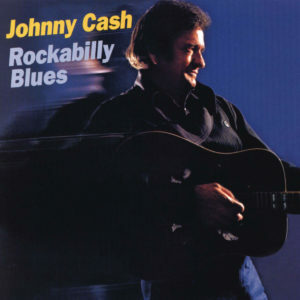 Rockabilly Blues has Cash putting a pub rock sheen on some of the material. It has a synthetic and compressed sound, which has left it a little dated now, but far less so than Silver. His then step-son-in-law Nick Lowe is on board, and some of this sounds exactly like what you’d expect a Cash/Lowe collaboration in 1980 to sound like. Other parts are more standard Cash fare for the era. “Without Love” and “It Ain’t Nothing New Babe” are the standouts here. For the most part, this isn’t going to impress anybody new to Cash, but it’s marginally more listenable than some of his other stuff from the slowest part of his career. It probably earns second place in the beauty pageant of his 1980s albums. The curious may want to ponder how this sets out some of the same objectives as Unchained almost two decades later, but just doesn’t deliver nearly as well.